Can sunflower oil be taken on an empty stomach? A viscid, transparent and fragrant drop of sunflower oil can be compared to an amber drop of pleasure and health benefits. Using vegetable oil in salad dressing, frying meat and fish, baking etc, not many of us realize that this tasty and healing product can be taken as a therapeutic remedy to improve our health. So, it can be used not only as a usual supplement to our daily menu. It is advisable to take sunflower oil on an empty stomach in the morning to get a maximum of healing powers out of it. If you forgot to do it before breakfast, then you could do it in the evening as well. The only thing is you should do it at least two hours after your dinner. Thus, the nutrients get smoothly absorbed by cells in the body. Soft oil texture perfectly cleans and lubricates the gastrointestinal tract. The procedure of getting rid of unpleasant and delicate symptoms is simple: all you need to do is to take 1 teaspoon of the product on an empty stomach about an hour before breakfast. If the situation doesn’t get better within 1-2 days, then increase the dosage to 1 dessert spoon. Besides vitamins A, D, E, sunflower oil also contains nutritious Omega-3 fatty acids, also found in fish oil. They normalize blood pressure, reduce the heart rate and help to dissolve cholesterol plaques in vessels. Sunflower oil has antitumor properties. That’s why world-leading oncology specialists recommend taking a teaspoon of the vegetable product daily in order to exclude the risk of insidious disease. Some healers use this valuable product in their therapy for successful cancer treatment in its early stages. 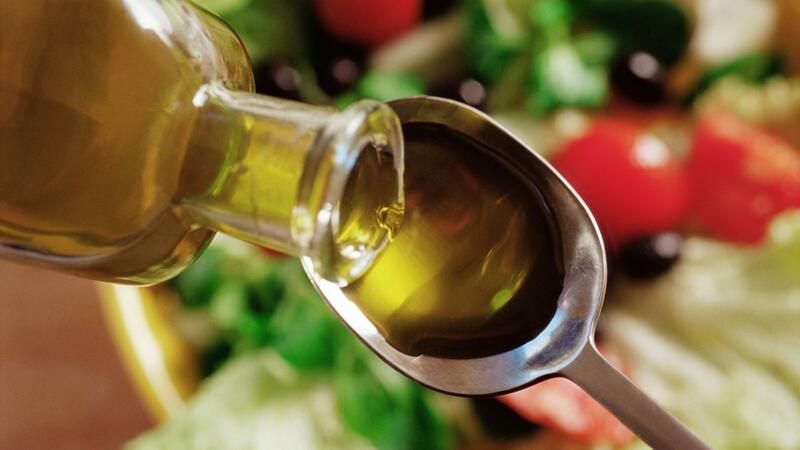 To cleanse the body from degradation products and toxins, you should take 1 tablespoon of oil a day. But don’t swallow it, just swish it in your mouth for 15 minutes. In the first minutes, the liquid becomes dense, but then it becomes watery and white. After this spit it out in the toilet. The infected liquid contains degradation products, toxins that cause blood clots, rheumatism, gout, headaches, heart diseases and blood pressure spikes. Rich in vitamins A, E and D sunflower oil when taken on an empty stomach is perfect for women’s beauty. After 7-10 days of consistent doing over and over again this simple, yet important procedure, you will notice your nails to get stronger, skin to be softer and more elastic, hair to be more smooth and shiny. Moreover, by taking a teaspoon of oil before breakfast, you can suppress your appetite and eat not too much for breakfast. This way you can stay in shape. It is not recommended to take sunflower oil on an empty stomach if you have the stomach ulcer or gallstone disease; because this vegetable product can cause a sudden attack that needs to be treated in the emergency room. To take the best out of this tasty and healing product, and before starting such treatment, do consult your doctor. It is also recommended to choose a high-quality cold-pressed oil produced by a manufacturing company “Kaissa” which has united several of the best oil production plants in Ukraine.